Every Hospital, Private office, or Aesthetic Practice is required to have an appointed LSO. 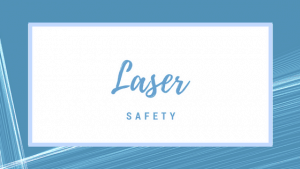 Laser Safety, as defined by the American National Standards Institute (ANSI) is separate and distinct from patient and treatment safety, which is an important but unrelated topic. Meet the regulatory requirements for having a trained Laser Safety Officer appointed at every facility that uses medical or aesthetic lasers. In additional several states require that an LSO be listed on administrative forms filed with the state, and must have proof of formal LSO training. This meets those training requirements. The Course includes online access to the narrated and illustrated lectures, a pdf course manual, a PDF copy of all the slides, and a Certificate of Laser Training. Online quizzes are at the end of most modules which you must pass with a 70% or greater score. If for some reason you don’t pass a module we’ll reset you for that at no charge. You’ll listen to the online lectures but must also study each chapter of the book. This seminar is ideal for those that will become the Laser Safety Officer for a facility and can be taken online or in-house. This 16-hour training meets all requirements for states that require formal Laser Safety Officer Training. 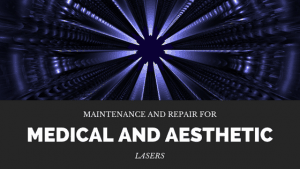 It is equally beneficial, however, for the laser technicians and operators that will be using the equipment. (Even if a technician or operator is not the designated LSO, he/she can serve as a backup.) New ANSI Standards require that any staff working around lasers incur safety training at least every 5 years, and this seminar meets those requirements. For those participating in the 2 Day Seminar option, the Medical Laser Safety Officer Certification Exam is included. It also covers Laser Airway Safety programs and the Basic Laser Safety Inservice which can be used to train your own physician and support staff. Approved for 16.1 Nursing CEU’s and Qualifies for Category II CME. Accredited Training Certificates are different than a Certification as a Medical Laser Safety Officer. There are currently (2016) no requirements that one MUST be Certified as an MLSO, but the 2016 ANSI 136.3 Standards do recommend such Certification. This course will meet the training requirements in order to take the CLSO/M Certification exam from the National Council on Laser Certification (NCLC). You may make separate application and take this exam at a location convenient to you. See www.LaserCertification.org for details. During our live 2 day LSO seminars we administer this exam at the end of the seminar for those wishing to take it. This course is for Surgical or Aesthetic Safety Officers & Assistants. Price: $475 for 1 Day Laser Safety Operators, $895 for 2 Day Laser Safety Officer. Other discounts also apply. NCLC, MLSO Certification exams included, if desired. 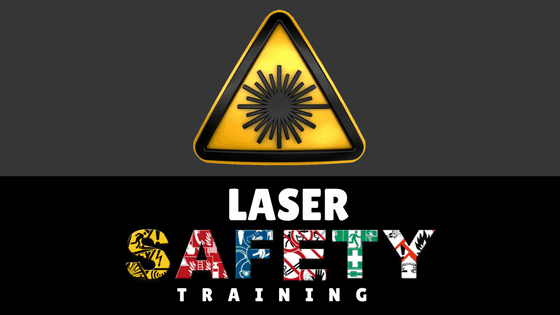 We offer the best laser safety training courses hosted within your own facility and using your equipment to help enhance the level of learning through hands on experiences with the same equipment you will work with everyday. The in-house course is best suited in situation where there are multiple people to train or an in-depth learning experience with real hands-on training is required. This is where our experienced and knowledgeable faculty come to your location and teaches academic lectures as well as the valuable hands-on experience with your own equipment. The in-house laser safety training course typically ranges from one to three days, but varies based on the background of the individuals seeking training as well as whether you opt in for the Laser Certification exams. The in-house laser safety training courses are best suited for those looking to re-certify entire staff on lasers and ensure everyone has a consistent understanding on protocols or new practices looking to train larger groups of staff at one time. For Surgical Staff working directly with, or around laser Systems, or in Laser Cases. Also used by Physician Staff for a more in-depth basic laser science and safety training. Approximately 4 hours of Basic Surgical Laser Science and Safety. Basic Laser Science and Safety Training for Technicians operating the equipment, and Team Members working Laser Cases. Laser Operators must of course augment this with specific hands-on training on the lasers they operate. The program is broken down into three sections: 1) Laser and Energy Concepts (basic biophysicis) 2) Laser / Tissue Interactions 3) Laser Safety, including both practical safety and administrative concerns. The Course includes online access to the narrated and illustrated lectures, a PDF course manual, a PDF copy of all the slides, and a Certificate of Laser Training. Online quizzes are at the end of most modules which you must pass with a 70% or greater score. If for some reason you don’t pass a module we’ll reset you for that at no charge. Approved for 5.2 Nursing CEU’s and Qualifies for Category II CME. The Course includes online access to the narrated and illustrated lectures, a PDF course manual, a PDF copy of all the slides, and a Certificate of Laser Training. Online quizzes are at the end of most modules which you must pass with a 70% or greater score. If for some reason you don’t pass a module we’ll reset you for that at no charge. Approved for 5.2 Nursing CEU’s and Qualifies for Category II CME. NOTE— We offer this same course as a live seminar which is the first day of our two day LSO course. $395. Discounts available. Price: $195 for ONE, $295 for TWO people PLUS the option to enroll an additional 5 people at $125 each. All Perioperative Staff are required to have Laser Safety Training. This is it. Short 20-30 minute inservice as required by ANSI 136.3 for all PerioOperative personnel that may have occasion to come into a laser room. This is the basic Laser Safety Inservice for personnel that might come into a laser room, but are not working directly with lasers. It discusses the eye and skin burn hazards of lasers, how to read the wavelength listings on the danger signs and to match them with actual protective eyewear. Covers the ANSI required safety training for all personnel working around laser installations. Documentation of this training is a requirement of ANSI. Choose this shorter program for general perioperative staff. Chose the longer 4 hour “Laser Techs” course for staff that are working directly with lasers or scrubbing in on laser cases. The A.N.S.I. Laser Safety Standards REQUIRE retraining of ALL of your key laser staff at least once every five years. This will meet that requirement. The Course includes online access to the narrated and illustrated lectures, a PDF copy of all the slides, and a Certificate of Laser Training. An online quiz is given at the end which you must pass with a 70% or greater score. If for some reason you don’t pass we’ll reset you at no charge. Approved for 1.0 Nursing CEU’s and Qualifies for Category II CME. (also ask us about our In-House programs where we teach hands-on with your own lasers). Note for those taking the LSO 2 Day Seminars: This basic laser safety inservice will be provided to you as a powerpoint show on a memory stick that you may use for training of your own staff on an unlimited basis. Price: $25 for ONE — or $400 for a package of 20. There is no time limit on when you have to use your 20 spots. The First Step in meeting credentialing requirements for Laser Use for Residents and Attending Physicians. Online / Home-Study Course designed for Physicians seeking basic laser science and safety for credentialing purposes, and for staff working directly with and around lasers. Approx 1hr 45 minutes to cover the primary laser and energy concepts, differentiate types of lasers, and present important safety concepts. This is the next step up from the Basic Surgical Laser Safety Inservice. It is directed toward physicians and it is intended to be augmented with more complete and specific clinical training in their specialty area. Followed by hands-on laser work and preceptorship of cases, in order to gain laser privileges at a hospital. Requirements for gaining laser use privileges will vary hospital to hospital, so check with yours. This program is utilized by The Ohio State University Medical Center as the first training step in the credentialing of their Residents and Attending Physicians. The Course includes online access to the narrated and illustrated lectures, a pdf copy of all the slides, and a Certificate of Laser Training. An online quiz is given at the end which you must pass with a 70% or greater score. If for some reason you don’t pass we’ll reset you at no charge. (Course credits allots 15 minutes to the post test) Approved for 2.4 Nursing CEU’s and Qualifies for Category II CME. (We can also come In-House where we can teach hands-on physician credentialing programs with your own lasers utilizing physician faculty). ENDOTRACHEAL TUBE FIRES ARE A MAJOR RISK OF AIRWAY LASER USE. This 30 minute presentation (plus review and test) on management of risks of airway fires from lasers should really be a mandatory viewing of ALL Anesthesiology departments, plus ENT, Pulmonary medicine and other specialties involved in laser use in the airway. This should be MANDATORY viewing for all personnel involved in Laser Airway Cases. Airway fires induced by laser procedures are easily avoided if proper procedures are used, but are extremely LIKELY if they are not. Considering the high risk to patients, and consequent liabilities to the facility in the event of a fire, it is prudent for ALL PERSONNEL involved with laser airway cases to review this presentation. It discusses Microlaryngoscopies, plus rigid and flexible bronchoscopies, with associated safe laser practices and laser resistant tube use. The presentation includes videos of ex-vivo simulations of various ET Tube fires. ANSI Laser Airway Safety requirements are discussed in some detail. This program is utilized by The Ohio State University Medical Center for training of staff in the Anesthesia and ENT departments. The Course includes online access to the narrated and illustrated lectures, a PDF copy of all the slides, and a Certificate of Laser Training. An online quiz is given at the end which you must pass with a 70% or greater score. If for some reason you don’t pass we’ll reset you at no charge. Approved for 1.0 Nursing CEU’s and Qualifies for Category II CME. Note for those taking the LSO 2 Day Seminars: This Surgical Laser Airway Safety course will be provided to you as a powerpoint show on a memory stick that you may use for training of your own physicians and staff on an unlimited basis. All Facilities that use Lasers, and all Laser Safety Officers will need to obtain their own copy of these standards for the Safe Use of Lasers in Health Care Facilities. The problem is, that unless you’re a “laser nerd” like us, you can read these standards several times and still be confused about what they say. That’s what this online program does for you. It’s not a reproduction of the actual standards, but it does walk you through them section by section to give you a common sense understanding of what they say. Coupled with the actual standards that you’ll buy, this gives you the best of both worlds in understanding your options in implementing these standards. “Common Sense Language” This narrated Computer Based Learning (CBL) program is approximately 126 slides in length and will take you about 2 hours to complete, depending on how quickly you advance through the slides. Like our other CBL programs it includes a PDF printout of all the slides in the program for you to keep. One of the problems for many people reading ANSI standards for the first time or two, is that you can read them but still not fully understand what they’re trying to say. This program does a lot of interpreting for you and discusses some of your options as ANSI lays them out. Using this online narrated program along with your required copy of the Standards will bring you up to speed much faster to understand the requirements and options of ANSI. Why do I need to bother with them at all? The ANSI standards by themselves are not a law. However, various State and Federal agencies do require that you operate by these standards. OSHA (Occupational Safety & Health Administration) can write large fines (such as $10,000) to employers who fail to abide by ANSI standards, and various States enforce them as well. Some States actually require formal documented training of the Laser Safety Officer and registration of the lasers with the State—it varies all over the country. In any event all facilities that use lasers are required to have a copy of ANSI standards and use them as guidance in their Laser Safety Program. Who needs a copy of the 136.3 Standards? Every facility (hospital, clinic, medical or dental office, MediSpa, veterinary practice, Low Level Laser Therapy clinic) that uses a laser must have an appointed Laser Safety Officer, and that program needs at least one copy of the ANSI Standards. You don’t need multiple copies for different users—just one to use as guidance in your Laser Safety program. You don’t use this as a dayto-day manual for routine laser use, just as a guidance document to establish and manage your required Laser Safety Program. Where can I buy the Standards themselves? You can buy a copy from us, or you can buy them from the Laser Institute of America. The 2012 standards are priced at $150 plus shipping. For those students of ours that enroll in our Medical Laser Safety Officer two day seminars, or our Aesthetic Laser Procedures three day seminar, you can buy them as part of your course registration for 1/2 price at $75. This discounted price is not available for those in our Computer Based Learning programs, but you can still purchase it at the standard price. NOTE: As new Standards are approved, they may not actually be released until quite some time later. When you order either the ANSI Standards, or this online Overview of these Standards, you’ll automatically receive the latest version of the Standards publicly available at the time of your order. This Online Overview is NOT a copy of the Standards—you’ll still need to buy them. This ANSI “Cliff Notes” summary course: Approved for 2.4 Nursing CEU’s and Qualifies for Category II CME. Once a year we provide an update on Laser Safety as a service to all of our Medical / Aesthetic / Technical Alumni at minmal cost, and provide availability of Laser Certification Exams through the National Council on Laser Certifications (NCLC). Held around April of each year. The course itself will be held in the classrooms of The Laser Training Institute & The Marathon Sail and Power Squadron building (Brady Building). Located at 5211 Loggerhead Lane, it’s just behind the Panda House restaurant on US1, which itself is across the street from the Publix Grocery. Turn onto 52nd street Gulfside, then right onto Loggerhead Ln and the building is there on your right (a white building on stilts). This is a one hour drive to Key West if you care to go during your off times. TAKE ANY OF OUR ONLINE LASER COURSES before you arrive if you need to qualify to take one of the Certification Exams. They are included for FREE for anyone taking the exam at the course, but access to the online course is terminated the last day of the course. Certificates for the training will only be issued at the Keys seminar. They include Aesthetic or Laser Hair Removal, Laser Safety Officer, etc. 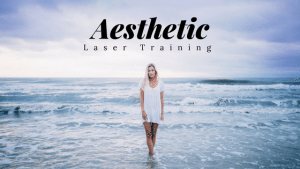 Price: $It’s only $195 for the 3 day course for any alumni.This also INCLUDES ANY online laser course in advance for FREE if you need it to take the exam – see limitations on the course page. $895 regular registration for others that are not alumni, but any online course is still included for free. You’ll make your own room reservations and alternative hotels are listed. The NCLC Laser Certification exams are included at no additional charge. This is also a good way to renew your Medical Laser Safety Officer Certification without having to meet the 3 year continuing education requirements.